16. Customers can choose different ratios, Our suggestion is white: blue=1:1, the common temperature of the white is 12000~14000K or 6500K, the wavelength of the blue is 460-470nm. 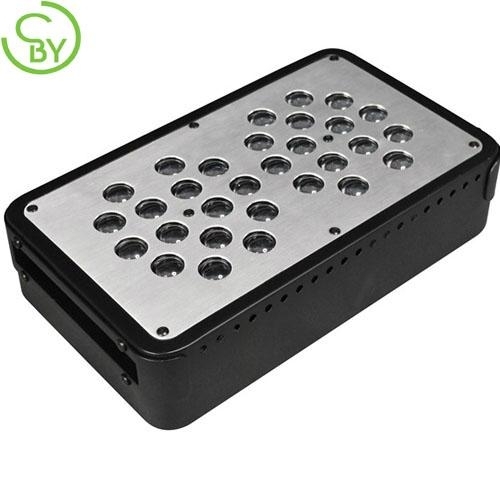 The mixed light of red, blue, orange, yellow, UV, IR and white provide the hydrophyte needed light spectrum.The white LED colour temperature for the fresh water tank is 6500K, 12000-14000K for the salty water, the blue light are good for the growth of hydrophyte, customers also can choose the more suitable wavelength and LED colors. 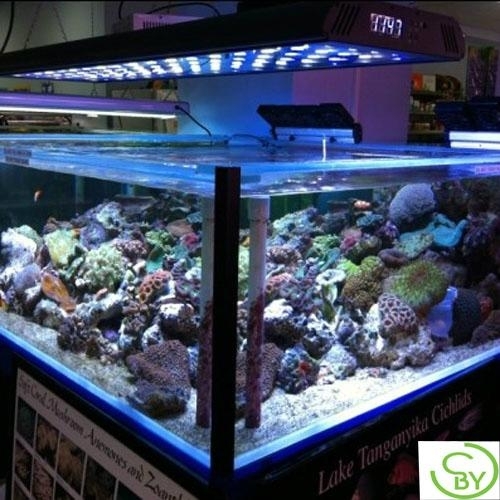 deal for all the aquatic organisms, use the blue lights at night, can appear the fluorescence colour of the corals and the software fish, more gorgeous and bright-coloured, stronger penetration and the best ornamental effects. 5. Don’t touch or move when the light working. 5/F,BuildingA3,Chongji Industrial Zone,Shiyan Town, Bao’an District, Shenzhen, 518108 China.